The five star St. David’s Hotel & Spa hosted a ladies indulgence evening last week which brought together more than 150 females to shop, eat and be pampered, in aid of Wales’ leading cancer charity Tenovus. The event raised almost £1200 for Tenovus, which was selected as the charity of choice by the hotel for 2014. The evening included a sparkling reception for guests and the opportunity to try a variety of relaxing treatments such as manicures, massages and style makeovers. There were a wide range of beauty products available to purchase with representatives from global brands Espa, Thalgo, GHD, Dr.Hauschka, and Bare Minerals in attendance. 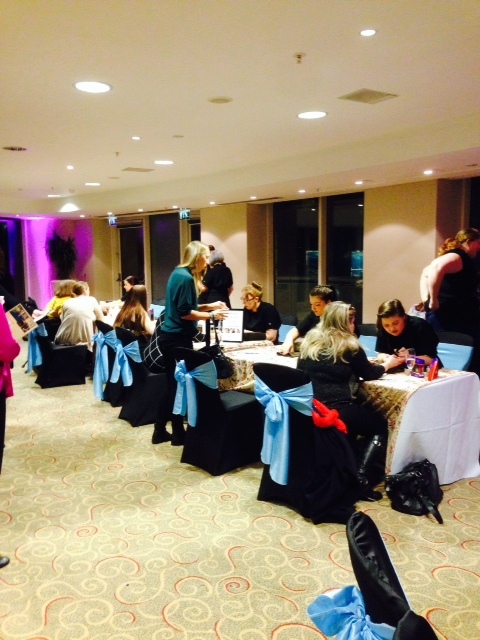 Guests were treated to a range of beauty tips and exclusive offers on products and treatments. Special edition Christmas boxes were also available from these companies. The St. David’s Hotel chefs were also on hand to provide chocolate truffle demonstrations and freshly decorated cupcakes. A charity raffle took place during the evening, and a host of exciting prizes presented during the night. Nicola Edmunds, Director of Revenue and Sales at The St. David’s Hotel and Spa said: “We’re delighted that so that so many ladies made the effort to support this fantastic event. It was great to see people treating and enjoying themselves in aid of a wonderful charity. We are coming to the end of a year long fund-raising campaign for Tenovus and have held a variety of events to support their work for cancer patients across Wales.